Tim Stevens has been The Kendeda Fund’s Montana fund advisor since 2015. 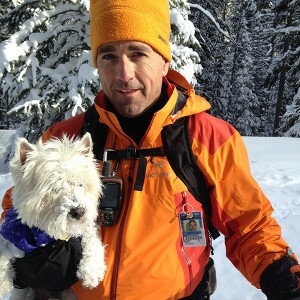 He joined The Kendeda Fund with more than two decades of experience in the conservation field in the Northern Rockies. Tim worked most recently as the Northern Rockies Regional Director for the National Parks Conservation Association (NPCA). Prior to that, he was NPCA’s Yellowstone Program Manager from 2004 to 2008. From 1994 to 2004, Tim worked as a conservation program manager for the Greater Yellowstone Coalition, engaging in the full span of issues impacting the region’s flora and fauna. He attended Colorado State University. Tim enjoys working to support the local youth soccer program, and likes to hike, run, camp, hunt and float the wild lands and wild rivers of Montana. Tim lives in Livingston, Montana with his wife and three children. It depends on the season. In winter and spring, I ski. In the summer I climb peaks, hike, and camp. In the fall, I hunt big game.